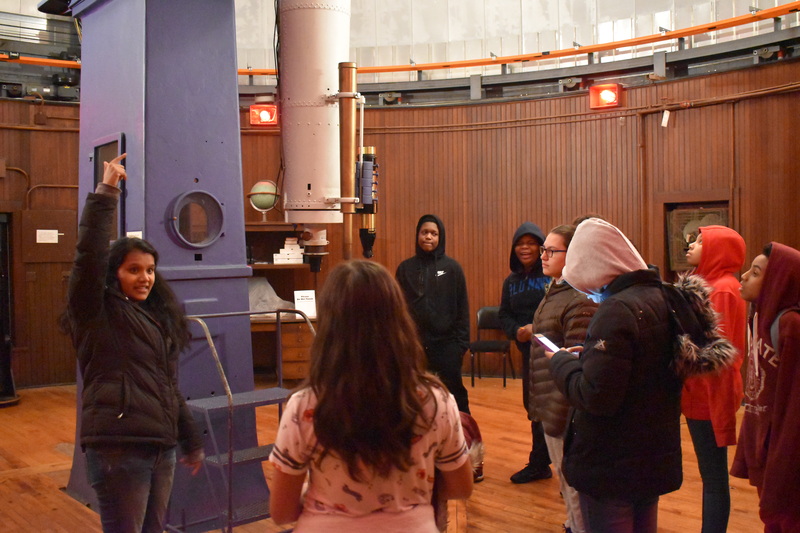 CIERA graduate students Aprajita Hajela and Eve Chase coordinated a trip for middle school students to visit Dearborn Observatory on an afternoon field trip on January 22. The students are associated with the local Youth and Opportunity United (Y.O.U.) 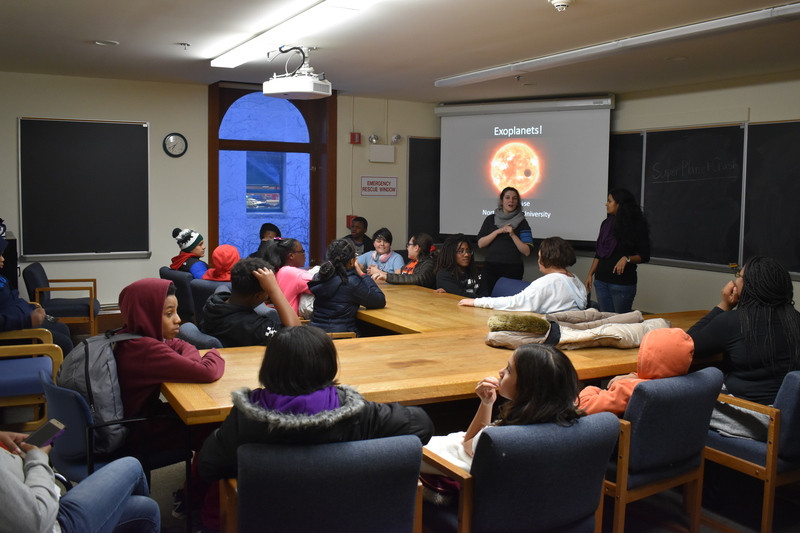 program in Evanston, IL. 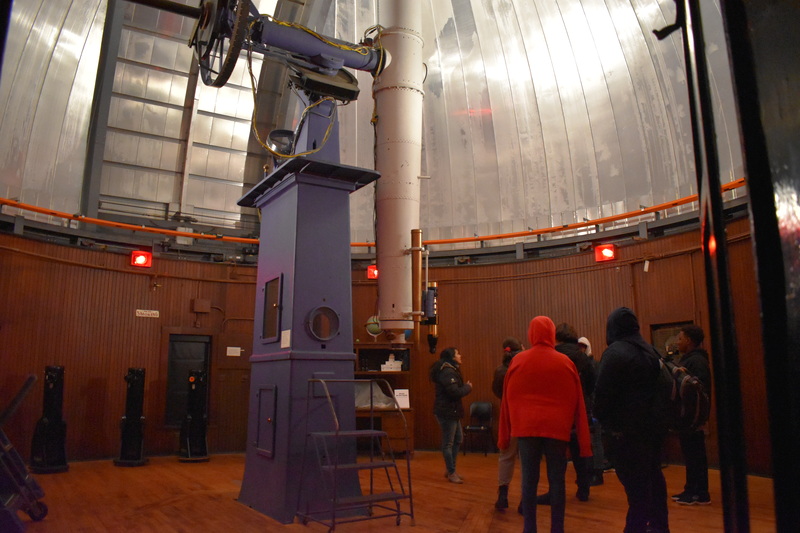 The group of 15 students toured the historic observatory with Hajela and Chase talked to them about exoplanets, orbits, and gravity. Additionally, Professor Michelle Driscoll opened up her complex systems physics lab for the students to tour that afternoon. Y.O.U. is a youth development agency that provides services and leadership to meet the emerging needs of young people and their families in our community. Y.O.U. aims to close the opportunity gap by preparing youth for post-secondary and life success. Partnering with families, schools, and the community, Y.O.U. provides academic, social, and emotional support to 1,600 youth and their families each year, ensuring every young person has the opportunity to succeed.